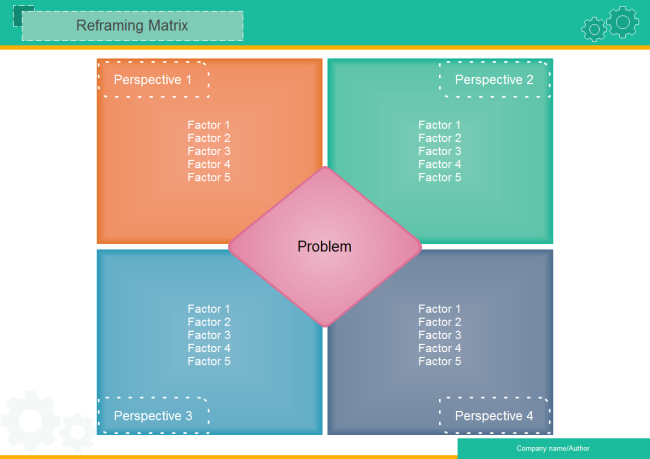 Description: A colorful reframing matrix template. Use it to analyze problem from various perspectives. Download it for free, fill in your own contents, done. So easy.